Cases2GO is owned and managed by Protechnic Ltd.
Protechnic is committed to protecting your privacy and maintain the security of any personal information we receive from you. Should we ask you to provide certain information by which you can be identified when using this website; you can be assured that it will only be used in accordance with this privacy statement and strictly abiding by the Data Protection Act 1998. We only hold data necessary to offer the services provided on our website, no information will be passed on to another party. We may send emails to existing customers or prospective customers who have enquired or ordered from us. Orders received online will not be processed unless payment has been received, you can pay via PayPal or by entering your card details (We accept most major credit cards with the exception of American Express). Once payment is confirmed, you will receive a confirmation email within the next 24 hours; this will include your order number, our contact details, the items ordered with their respective prices and total cost. To order a bespoke product, please contact us directly either by email or telephone. We will discuss your requirements and advise on a suitable case solution and then send you a quotation for your consideration. Once you have agreed the quotation, you will need to send a purchase order to us via email; we will then send a pro forma invoice as with all our new customers. Once paid, we will produce a drawing and send it to you for approval. Once approved we will begin to manufacture the cases. In the scenario of a batch order, we will produce a 1 off prototype case for your approval; once you have approved the case we will manufacture the balance. All prices will be quoted in British Pounds Sterling (£) upon enquiry and excludes Value Added Tax (VAT). 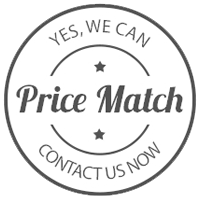 While we try to ensure all prices are accurate and up to date, occasionally changes beyond our control will occur, in this situation we will contact you to gain approval on the amended price or cancel the order. When standard size products are in stock, we will endeavour to dispatch the goods within 3 working days of payment being received. If for any reason the goods are not in stock, we will contact you to let you know what delay you might experience, if the delay is unacceptable then we will offer a refund. Bespoke items will have varying lead times and the delivery date will differ. An estimate on lead time and delivery will be given via a quotation. Shipping costs on the website relate only to delivery within the UK mainland. International deliveries, as well as deliveries to the Scottish Highlands and Islands, N. Ireland, Isle of Wight, Isle of Man, Channel Islands and Eire incur higher carriage charges and are individually quoted. Please call for a quote and order by phone if you live in these areas. We apologise for the inconvenience. Notification of any faulty or damaged products must be made within 48 hours of receipt otherwise no claim can be accepted. Please contact us via email or telephone, we will contact you to make arrangements for the goods to be returned, replaced or repaired. You may cancel an order within 7 working days of being placed, however this does not apply to bespoke products. Bespoke products can only be cancelled where manufacture has not commenced. We reserve the right to recover from you all costs incurred in relation to the order up to the time of cancellation. Where cases are screen printed, every care is taken to ensure the screen is correctly applied, however we accept no responsibility for the durability of the screen printed image. The ownership of the goods shall not pass to you until we have received payment in full for these and any other outstanding items for which payment is due. Until the goods become your property we shall be entitled to recover either the goods or property to the value of the original invoice. We shall not be liable for any pure economic loss, loss of profit, loss of business or depletion of goodwill in each case whether direct, indirect or consequential or any other indirect losses whatsoever or howsoever caused. Our website contains a large number of measurements and details and these are offered as a guide only. If any measurement is found to be wrong and causes a problem, we will replace or refund the value of the product but will not be liable for any loss or compensation. If you wish to issue a complaint about anything relating to Protechnic Ltd, please email sales@protechnic.com or call us on 01275 811310. We will try out upmost best to resolve your complaint as soon as we can.